I'm getting behind on blog posts. I need to do some from the beginning of May! I also have slaked off on doing the backlogged book reviews. I'm hoping to do better on that in July! Lillian Avery doesn't let anything slow her down even though she only has one leg. She is determined to be strong and show everyone she doesn't need to rely on anyone. Will she realize it is okay to need people? Will opening up just lead to more heartache? Archer Vandenberg is tired of women loving him for his money and not for himself. He is stunned when Lillian is not charmed by his flirting. He struggles to stay strong after his previous ship sank and he almost didn't make it out. Can he find true love and a peace to calm his fears? 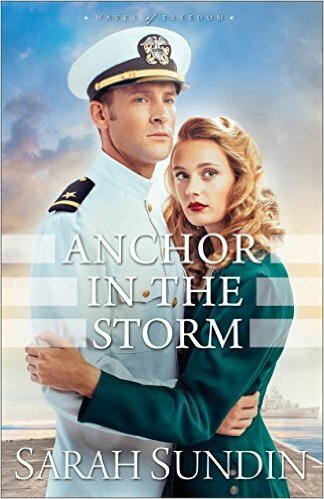 When Lillian and Arch discover that there appears to be a connection between the suspicious prescriptions she is filling and the behavior of the sailors on Arch's ship, they have to work together to solve the mystery of the drug ring. Will they find the answer before it is too late? "Anchor in the Storm" is the 2nd book in the "Waves of Freedom" series. I would recommend reading them in order, but you could read this book without having first read "Through Waters Deep". When Lillian and Arch got together and it was only half way through the book, I knew that there was going to be some sort of problem that would drive them apart. I read on, dreading what it was going to be and when it would happen. I actually cried a few times. I loved the amount of historical reality there was and the research that Sarah Sundin must have done to get all the nuances just right. There was a nice amount of Christianity without being preachy. I thought the characters were realistic and developed. It was fun to see Jim and Mary again. As with the first book, there was a mystery happening along with the romance part of the story. It kept me guessing who was behind the drug ring. The book was hard to put down once I picked it up. With the amount of times that Dan Avery appeared in this book, I figured that the next book must be his story and I was delighted to see that was the case (can't wait!). I received a copy of the book for free from the publisher in exchange for my honest review. All thoughts and opinions are my own and no other compensation was received. 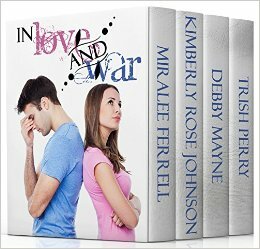 "In Love and War" is a collection of 4 novellas each dealing with some sort of conflict between the main characters. "Lassoed by Love" by Miralee Ferrell: The boutique that Lindsey Morgan managed has just closed. She takes a job working at a resort gift shop, but when she arrives, she doesn't expect to see Steve Graham who she knew in high school. Steve isn't thrilled at being Lindsey's boss based on what he knew of her from high school. Above all, he can't let his heart be broken like before. I liked Lindsey and Steve and how their relationship grew. The characters pray and come to realize that you can't always go by first impressions or what you think you know, you have to have the whole story. One thing confused me: at one point, Lindsey overhears part of a conversation, takes it the wrong way, and leaves. Later, she somehow knows about something that the other people were talking about after she left. Still a cute story, though. "Designed With Love" by Kimberly Rose Johnson: Jessie Morgan is living with her mother and struggling to make ends meet with her landscaping business thanks to her former fiance stealing her customers. When a local TV show holds a landscaping contest, she jumps at the chance to participate, sure it is the way to keep her business afloat. Steve Meyers was best friends with Jessie as children until she started dating Brendon Jacobs in high school. Now all three of them are back in their hometown and all competing for the same contest. Will Steve finally get a chance to tell Jessie how he feels about her or will Brendon come between them again? I thought that "Designed with Love" was a cute story. I definitely was rooting for Jessie and Steve to win in the landscaping contest and at love. Brendon was a bully and I didn't care for him very much, but even he had a growth arc in the story. I liked how the characters knew each other already when the story started, so it didn't seem so rushed that they fell in love as fast as they did. I liked Jessie's friend always reminding her that she needed to pray about things first before she acted. 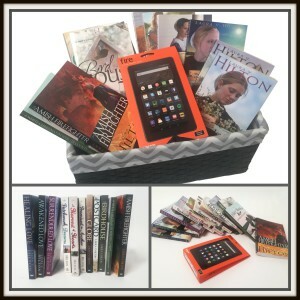 "Hungry Hearts" by Debby Mayne: Melissa Shaw and Cameron Prater always were competing with each other in high school, so when Cameron returns to Hyacinth to open a restaurant a few doors down from hers, she is sure he is trying to put her out of business. I liked the characters and their desire to trust God and do what He wanted. I liked seeing Cameron change and want to do what was best for Melissa. The added story element of the women's shelter made the story have even more depth. 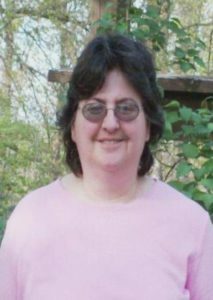 "More than Meets the Eye" by Trish Perry: Jensy St. Martin is focused more on advancing professionally than meeting guys. When Phil Quinn starts working at the same design firm, she is determined to avoid him based on information she was given about him when they were in high school together. This is the only story that the characters hadn't been in relationship previously. They knew of each other, but didn't have a relationship. I liked that Jensy tried to live in a Christian manner, but didn't always do what she should. It made her more believable and human. There is only Jensy's pov in the story so we don't know Phil's side of the story until Jensy figures it out. I think this was my favorite story from the book. There was one time that Jensy is telling her friend about the kisses she shared with Phil and she said the 2nd was in the elevator after he had shared about his sister, but he had actually shared about his sister before their 1st kiss and the 2nd was just them crammed together in the elevator. Not a big deal, but it jumped out at me. There were a few formating issues, but since I got an advance copy, they should be fixed in the final copy. The stories were fun and clean and the characters were Christians. I would recommend this book to people who like that kind of story. Abigail Stutzman was abandoned at the bus station and sent to another state to stay with relatives she never even knew about. She has no clue why and now she was found at the scene of an arson and everything points to her as the culprit. Why does no one want to give her an explanation of why she was sent away? Why doesn't God seem to want to help her? Sam Miller is not proud of things he's done in his past, but he is trying to be a better man now. When he finds Abigail at the scene of his family's barn on fire, he accuses her of starting it. Why is he so drawn to her? He is a volunteer firefighter, an EMT, and a paramedic in training, so why can't he seem to put out the fire between him and Abigail? I haven't read any of Laura Hilton's books before, but I will definitely be reading more of her books! 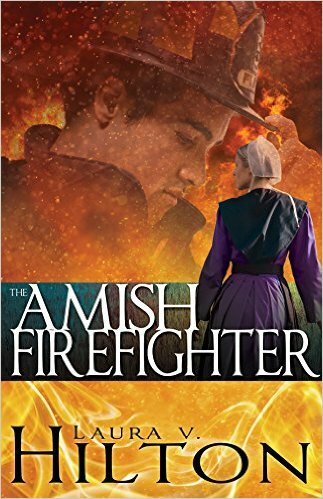 I really enjoyed "The Amish Firefighter" and found it to flow really well. It is the first book in the "New Beginnings in Jamesport" series. I finished the book the day after I started it. I could feel Abigail's pain and rejection. I really liked the amount of references to God and seeking His will. There was obvious growth in the characters' lives. 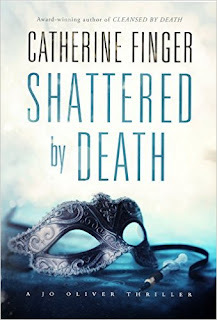 The main characters only kiss, but there is some mention of past intimacies that went much further than that (and the regret that went with it). "The Amish Firefighter" is a stand alone book, but there were characters that made appearances from Laura Hilton's "Amish of Jamesport" series. I'm excited to read "The Postcard" especially since Sammy is the "bad guy" in that book (these are the things he needs to tell Abigail, I think) I got caught up in this book and didn't want to put it down. Today was the last day of school for our kids. They had a half day (although Sarah also had a half day yesterday). I love my kids, but life is a lot more stressful when they are all home all day! My kids are not the quiet, keep to yourself type of children that I was. Mine are loud and boisterous and quite often argumentative. I'm glad for the hour between when the kids go to bed and Dan gets up for work. It is so calm and peaceful. Today was a hot day. It is currently 83 at 8:30 p.m. The kids decided they wanted to go out and run through the sprinkler. So I had to find swimsuits for everyone. Sarah's did not fit. At all. Not even close. So I dug out some old swimsuits of mine. I pinned up the straps on one, but other wise, it fit her! So not ready for that. I have been the same height since 8th grade. She has progressed much faster along the maturity path than I did, so who knows when she'll reach her full height. I also had to find the sprinkler they use for playing in, which I couldn't seem to find. I also wanted to find the water balloons. I could find the filling nozzle that didn't fit the hose, but not the one that did fit. Meanwhile, I just wanted to read. (I needed to read since the review is due Wednesday). I finally did find the water balloon nozzle, but then I couldn't get the sprayer off the hose! I had a few minutes of quiet until they all came bustling back in. And no one seems to remember that when it's hot outside, we need to keep the door closed to keep the heat out, or what to do with wet things. At least I don't have to set an alarm to be up to get Sarah on the bus by 6:30 for a few months. When the fence was built, not much was different on either side of it, but as time went on, one side changed with the times and the other did not. Now Matt moves in and can't wait to get the yard fixed up so he can move away. When he forms a friendship with young Eli from next door, his priorities start to change. It took me a little bit to get into this novella, partly because I started it right after reading a suspense book with a completely different writing style and partly because it was written in a way (at the beginning) that made me think of the reading segments on the state tests that kids have to take. It took a little reading to get my brain into this author's style. The story is short and a very quick read. I was wishing for more at the end. Maybe there will be a sequel. Matt and Eli both changed/grew during the story and it was fun to see their transformation-particularly Matt's. It is told in third person and follows Matt. The chapters were named and then had sub headings throughout the chapter. I enjoyed reading the novella and would like to know what happens next. 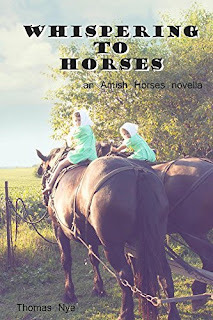 I received a free copy of this book from the author to review during the blog tour through Celebrate Lit. All thoughts and opinions are my own and no other compensation was received. Chief of Police Jo Oliver is struggling to get her life under control after finding out her husband has a girlfriend and his outrageous demands in the divorce. When she finds her husband and his girlfriend murdered, she is the prime suspect. 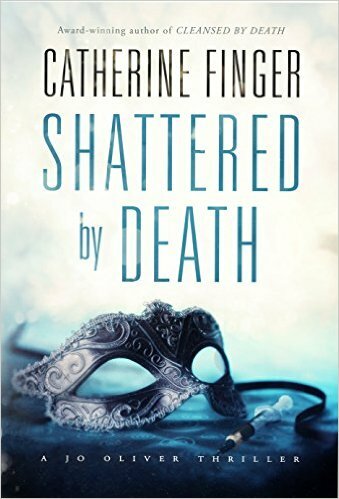 As the killer closes in on her, she isn't sure who she can trust as the clues point to someone who knows her. I didn't read the first book in the series, so I don't know if I should know who the people Jo mentions are when the book starts, or if I will get to know them as the book progresses. But she just mentions Donna, Nick, Gino, Liz, Samantha, etc with no explanation of who they are. It made me feel a little lost. The whole "My Magnificent Being" was really odd to me. Why not just call him God?? I did like that she prayed and sought what God wanted, though. The book is in first person point of view so we feel what Jo is feeling which adds to the tension. I figured out who the killer was a chapter or two before it was revealed in the book, but it didn't lesson the suspense because the killer wasn't done with their plans. There were twists and turns all the way through the book, even up to the very end of the book. There were some story threads that weren't totally wrapped up in this book, but it didn't feel like a cliffhanger ending either. I think this was the most suspenseful book I've read yet. I received a free copy of this book by the publisher in order for me to give an honest review. All thoughts and opinions are my own and no other compensation was received. Joanna has loved Andrew since she was 12. She thinks he loves her, too, but doesn't seem to be making a move. She gets into an argument with her parents over it and it is the last thing they talk about as a car crashes into them and injures Joanna and kills her parents. Andrew loves Joanna, but he doesn't want to rush her, but when she is almost taken away from him, he proposes. She agrees, but seems to be holding back. Joanna should be glad she is finally getting what she wants, but she isn't sure Andrew didn't propose out of pity. 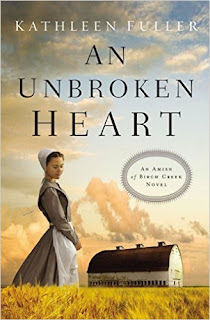 How will they find their way through the chaos with an unbroken heart? "An Unbroken Heart" is the 2nd book in the "An Amish of Birch Creek Novel" series. I sort of felt like I was coming into the story partway through. If I had read the first book I am sure I would know more of what was going on. I felt Joanna's confusion over her sister's "secret" about her marriage since I didn't know what it was either (It was in book 1). This book follows Joanna Schrock and Andrew Beiler, who are the main characters in the story. It also follows Naomi and Irene Beiler (Andrew's mom and sister) and Cameron Crawford who caused the accident that killed Joanna's parents. I think that the parts with Irene may carry over into later books in the series, otherwise, I'm not really sure what they were for. Characters grew and learned about themselves and God through the book. I received a free copy of this book from the Fiction Guild in order for me to give an honest review. All thoughts and opinions are my own and no other compensation was received.